3. You will then be redirected to the Bicycle Superstore website to receive your order confirmation. 1. 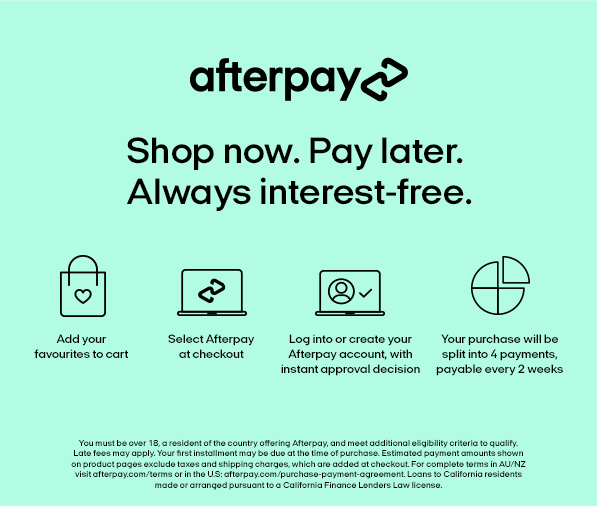 Download the Afterpay app from the App Store or Google Play on your mobile phone. 2. Tap the barcode tab in the Afterpay app. 3. Present the barcode on your mobile at the register. Yes, our normal returns and exchanges policy applies to all Afterpay orders. You have 30 days from date you receive your order to return or exchange your item, providing it meets the terms of our policy. Please consult our Returns and Exchanges Policy here.